Home » Where Do You Need to Install Low Surface Temperature Radiators? Where Do You Need to Install Low Surface Temperature Radiators? Low Surface Temperature radiators help to synthesise design and safety without compromising on quality and overall levels of heating efficiency. One of the big-name brands in the LST radiator business is Stelrad. This company offers a huge array of LST radiators in a variety of sizes and dimensions, which ensures they can fit any kind of room. What you need to ask is whether or not LST radiators are a requirement for your environment. Here, we’ll talk you through which environments require LST radiators. What Are Low Surface Temperature Radiators? Low surface temperature radiators help ensure the highest standards of safety and performance. Stelrad LST radiators are skilfully designed to provide high levels of heat output whilst keeping the surface of the radiator model cool to the touch. This means that the radiator will not cause burns or scalds if someone comes into contact with the radiator’s surface. Stelrad has built a great reputation over the years for providing superb, high-quality heating solutions that easily meet safety regulations. In 1996, the Education Regulations stated that any school building should use LST radiators to ensure that the Duty of Care towards both staff and students is being met. As the surface temperature of LST radiators remains safe to the touch, this helps protect young children from burns or scalds. Also, this radiator system offers high levels of energy efficiency whilst maintaining a pleasing design aesthetic. 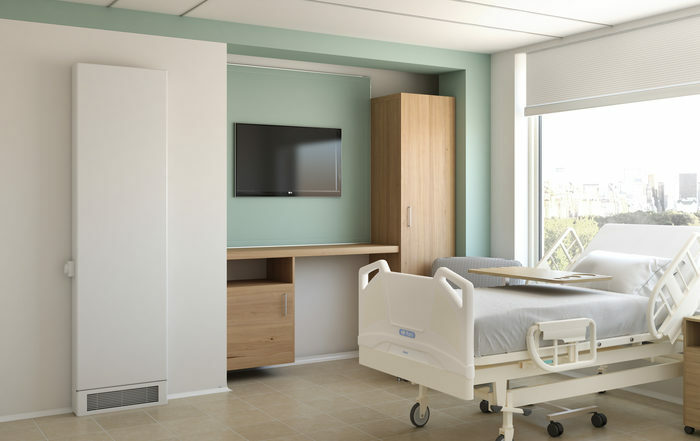 In both care homes and hospitals, LST radiators are a requirement. With many vulnerable, frail and sick people residing in these buildings, it can be particularly easy for them to fall and hurt themselves on a hot radiator surface. Installing LST radiators helps ensure the safety of vulnerable individuals. Nowadays, care homes are required by law to install safe heating options to protect older residents from harming themselves. With serious burns occurring after only a few seconds, an LST radiator will help prevent injury. Regardless of whether a public building is run privately or by a public body, the building must not expose visitors to any unnecessary risk, which includes heating. Also, in the unfortunate event of an accident, if you do not have a safe heating system, you run the risk of having to pay out compensation. This is because you will be liable for the injuries that a scalding radiator can cause. Installing LST radiators helps to mitigate the risk of someone falling and seriously burning themselves. Whilst LST radiators are a requirement in public buildings, they can also be a good option for households. Already installed an LST radiator system in your home? Let us know about your experience in the comments below.